Perfect Amalgamation of traditional, classic , timeless with a latest technology which offers style, fun and quirky experience. The photoboothME traditional booths offer all the charms of an old school sit down photo booth with all the advantages of the latest technology. Our Traditional photo booths are the simplest and cheapest way to get a premium photo booth hire in Sydney or Wollongong. Our traditional photo booths are unmistakenly a photo booth. They look just like photo booths have for over a hundred years. With one piece metal construction, a bench seat and curtain for privacy everybody knows exactly what to do with these booths. Jump in, pull the curtain phone and giggle your way through some fun pictures. 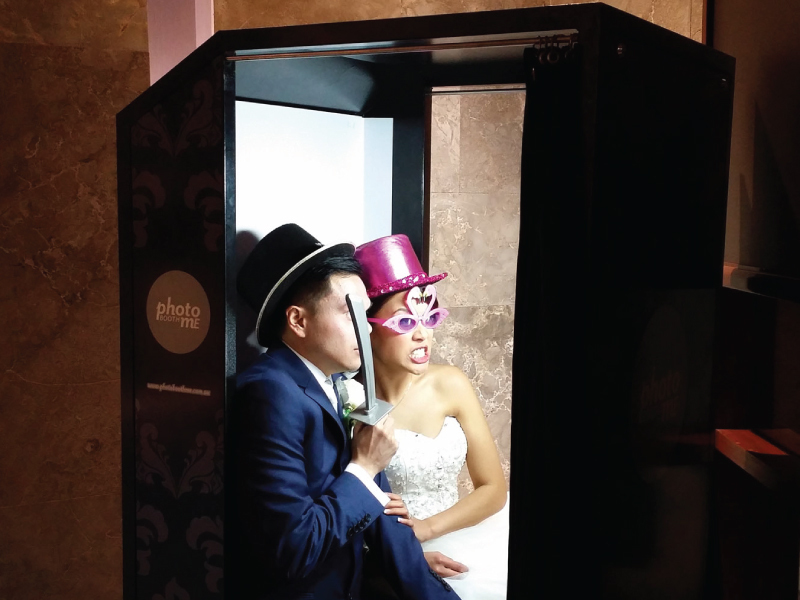 The best part about our Traditional booths is that although they look old timey the software, printer and computers are all the same as we use in our top of the range HD and Bespoke photo booths. We totally rebuilt the hardware of these booths so that they have the flexibility, print speed and quality and reliability that our clients deserve. As far as we know we are the only company that we know of with these style of booths that can offer this. Traditional photo booth hire options. For those on a budget or wanting to keep it simple our Traditional photo booth hire can be just that. You hire only the photo booth. Of course you still get delivery, setup and packdown of the photo booth, unlimited sessions for the duration of the hire, a digital copy of all photos after the event and full photo strip customisation. This package starts at only $650 on weekdays and $750 on weekends. You can of course build the package up, adding options like a guest book, prop box or maybe even an attendant or some photo frames. Ask us now how you can have a premium photo booth experience at your next event for a totally reasonable price.